Home » Do You Need Life Insurance? Here Are Three Considerations! Life insurance is an important financial tool. And while most people do need to secure protection, not everyone needs high coverage amounts. As an example, a married couple with several children will most likely need more coverage than a single person with no debt. But do you know how much life insurance you need? If you’re on the fence of whether or not you need coverage or how much you should take out, here are three points that can help you decide. Do you have a lot of debt that someone has cosigned on? If so, you definitely need coverage. You see, typically your debt dies with you — but this isn’t the case when there’s a guarantor on your loan. When you’re no longer around, the person who cosigned for you is on the hook for the remaining balance. That’s not a good position to be in. 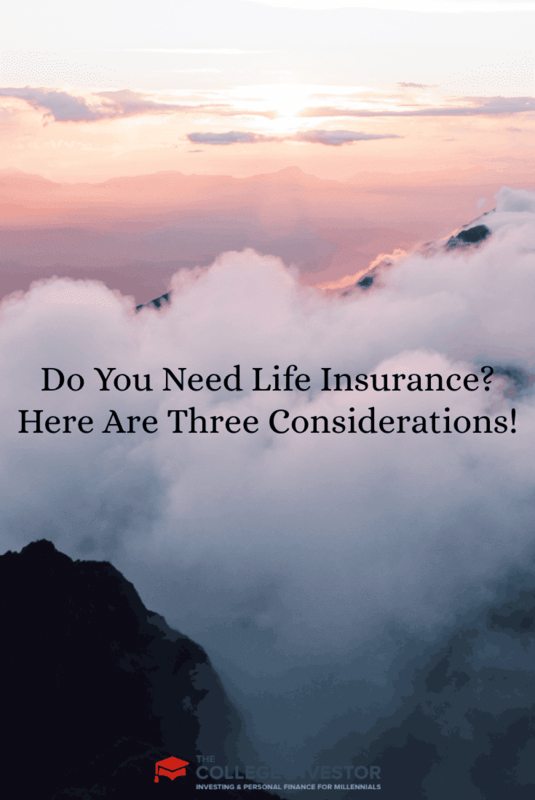 To protect those who have helped you, you can take out a life insurance policy for the amount of your loans with your cosigner as the beneficiary. This way you can rest assured that your debt won’t be a burden to someone else. If you’re married and/or have kids, then it’s absolutely crucial that you get life insurance — especially if you’re the breadwinner. If something were to happen to you, your family would be left to work out the finances. Your significant other would be responsible for keeping up with all of your family’s financial obligations. A recent study conducted by State Farm showed just how important families believe life insurance is. In fact, half of Americans think life insurance is an asset. Only 33 percent of the people polled view life insurance as an expense. The fact is, life insurance should be viewed as an asset. It’s a tool that will help your family in the event that you’re not around. To calculate how much coverage you need, you can check out State Farm’s life insurance calculator or talk to your insurance agent to get specialized advice. If you own a business and are heavily depended on, life insurance may be necessary. Your life insurance policy could help cover everyday business expenses while the business adjusts to running without you. If there are multiple owners of your business, it might be a smart idea to take out a policy on each owner. The amount of coverage you need will depend upon the specific financial obligations of your business. If you’re single and have no cosigners on your debt, you still might want to take out a small policy to cover the cost of funeral expenses. While life insurance can be a beneficial part of your family plan, the specific coverage you need is dependent on your situation. If you want to learn more about life insurance or check out the findings of State Farm’s life insurance survey, visit Good Neighbors for more. Do you have life insurance? Do you believe life insurance is an important part of a financial plan?